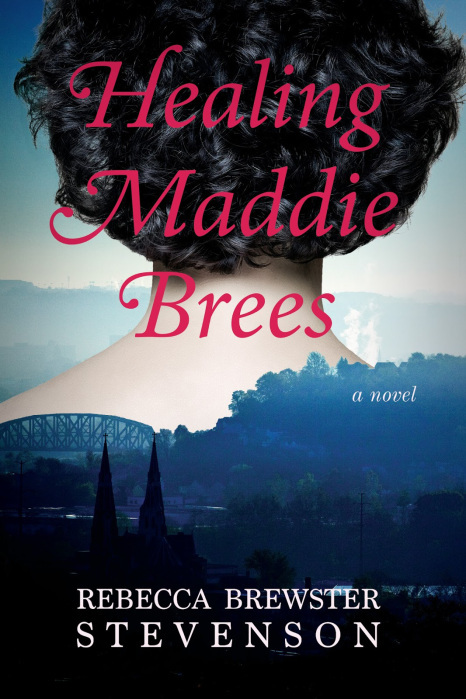 A debut novel from a promising new voice in fiction, Healing Maddie Brees is the story of a marriage and the memories tha t pit themselves against it, of the uncanny power of the body in both disease and desire, and of whether true healing ever really happens. Finalist for the Eric Hoffer Award and for the Montaigne Medal. Short answer: too long. Real answer: about sixteen years. When my firstborn arrived, I left teaching to be at home with him full-time and turned my son’s naps into writing hours. For several years, I had had a germ of an idea for a novel, so I began bringing that to light. But two more (delightful) babies slowed that process, as did homeschooling, as did returning to teaching full-time. By the time I left teaching again, my writing had improved as had my ideas, and I once again returned to the project. I finished a draft in 2013, revised it in 2014, and signed with a publisher in 2015. I’m so glad I didn’t finish it when my children were little: I needed every one of those years to develop as a writer! Why couldn’t the book have ended differently? Well, this is a bit vague, isn’t it? If one of the many people who have asked this were actually asking here, we would have a clearer understanding as to the changes people wish for in the story. But the long and short of it is that people often wish Maddie or Frank made different decisions–and I see the wisdom there. My answer is that neither of them would be who they are at the story’s beginning if they had made different decisions in their pasts. As we do with all people and characters, we have to let them be who they are, and who they are is determined by their history, which in turn determines their decisions. In my limited experience, this is how life–and good characters–play out. Is Vincent a real person to you? All of the characters in Healing Maddie Brees are real characters to me. I think that might be what it’s like to create characters. It’s true for me so far, anyway. Why did Frank have to do what he does? Well, see #2. And also, because Frank is a “real person,” and, for better or for worse, he behaves like one. Why did you choose for Maddie to have breast cancer and not some other type of disease or cancer? Mostly because of metaphor. There are things about the specific, insidious behavior of cancer cells that related well to both the ideas of landscape and human nature in this book. But more importantly, the novel means to examine the significance of our bodies and souls. Frankly, breast cancer’s more invasively intimate nature mattered in that regard. That said, I tried very hard to honor that invasiveness and the fear and acute losses that breast cancer often mean. I did extensive research in preparing my manuscript and remain deeply indebted to the friends who were willing to talk with me about their experience with the illness. Well, as with all books, we have what we have at the end, and nothing more. You can make of it what you will, but as you see, she is far more alive at the end of the book than she has ever been before. I like to think that bodes well. What provoked you to write this book? First of all, for many years I have been fascinated by the belief that, with enough faith, anyone can be healed of anything. I see support for that idea in the Bible, and then I also see people suffering things that they might rather not suffer–and not having these taken from them. This book is, to an extent, an exploration of that idea. And I have long been fascinated, too, by Christ’s words about marriage: that the two become one. Jesus quotes this, and then repeats it: “So they are no longer two but one. Let no man divide what God has put together” (Matthew 19: 6). I’m fascinated by this. What does he mean? What exchange is there in intimacy that actually unites two people? And once the union has occurred, what happens when we are divided? The book explores this too.